VMware (NYSE: VMW), the global leader in cloud infrastructure, delivers customer-proven virtualization solutions that significantly reduce IT complexity. VMware accelerates an organization’s transition to cloud computing, while preserving existing IT investments and enabling more efficient, agile service delivery without compromising control. Organizations rely on VMware, its partners and its industry-leading virtual infrastructure platform, VMware vSphere, to energize their business through IT, while saving energy—financial, human and the Earth’s. With 2009 revenues of $2 billion, VMware has more than 190,000 customers and 25,000 partners worldwide. 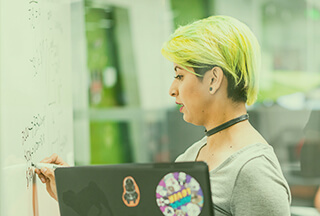 VMware’s award-winning technology, market-leading position and culture of excellence provide our 8,200+ employees in 40+ locations worldwide with a platform for professional growth and the excitement of being an early-stage innovator. The VMware Global Support Services (GSS) team supports over 10,000 companies running VMware servers in over 100 different countries. GSS provides time-zone optimized coverage throughout five support centers globally. The GSS team supports the entire suite of VMware products for global customers and partners and participates in developing new products and new versions of current products. GSS team members also participate in product delivery strategy, product documentation, discussion forums with customers, and expert documents publishing. A commitment to excellence and customer advocacy pervades the GSS team, and the work environment fosters intellectual stimulation through exchanges with internal and external customers. The VMware GSS team members are the “best of the best” supporting business-critical applications in a virtual infrastructure. VMware brings together a phenomenal group of people. This includes a world-class development organization with unparalleled expertise in the system software space. The entire VMware team has created a unique business environment - one of energy, creativity, and collaboration. The atmosphere is fun, casual, and inviting, in keeping with VMware's roots as a successful entrepreneurial start up. As a Support Account Manager you will utilize your strong technical competencies and account management skills to provide the highest level of Personalized, Proactive, Preventative and Reactive, Enterprise-Class support services. You will build a partner relationship with the customer to better serve their business needs, as well as to react quickly and revise approach when business needs change. Working very closely and collaboratively with members of the GSS Team, Account Teams and customer contacts, you will become intimately acquainted with the customers business requirements, technical needs, systems, environment and support history. As such, your technical abilities are critical in identifying solutions, directing support request to the proper teams, and assisting with technical questions as they arise. Proactively escalate customer issues and work with Sales, CPD, PSE, PM to assign appropriate priority.